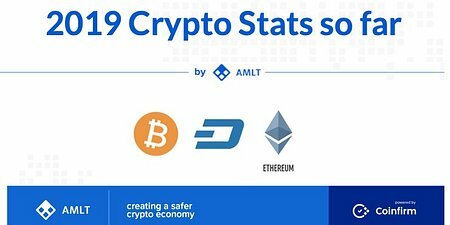 Crypto Stats of the Month brings you unique monthly stats from across the cryptocurrency space. 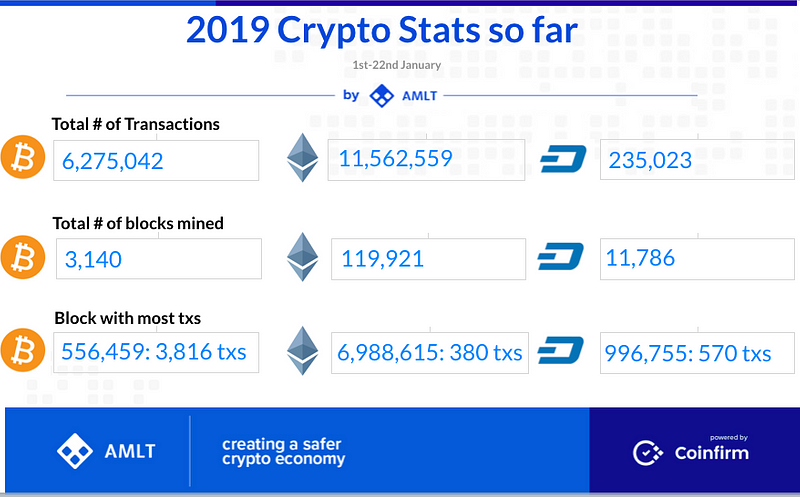 To start the year we decided to something a bit different and gave you some up to date stats and insights into Bitcoin, ETH and DASH transactions from 1st-22nd January 2019. Please share and help build awareness around the work AMLT is doing!